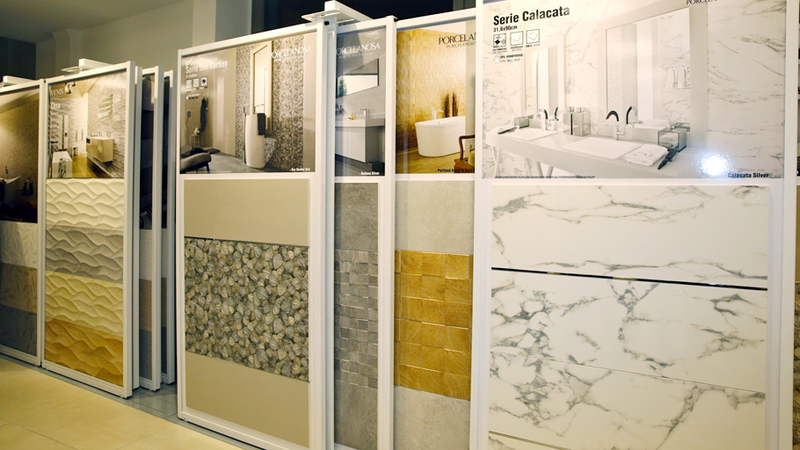 Architects, interior designers and lovers of decoration in Italy now have a new Porcelanosa showroom, the first in Bergamo, where they can go to find the latest collections of floorings and coverings, new products in bathroom and kitchen fittings, wardrobes and construction solutions by the eight firms of PORCELANOSA Group. 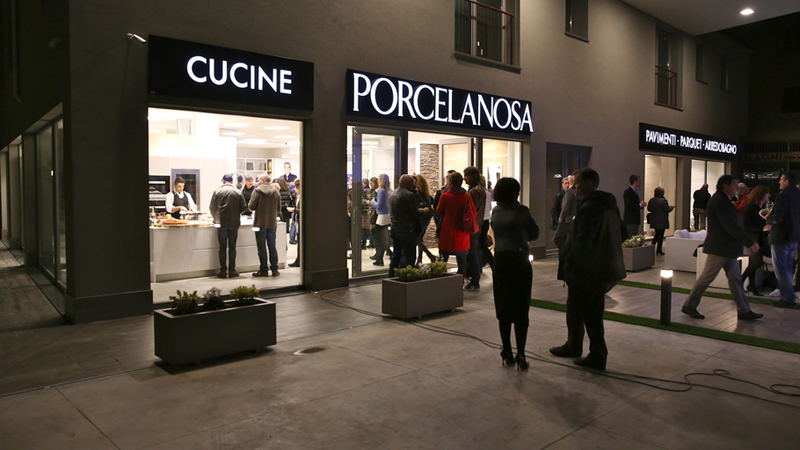 Located at the heart of the city, in via Borgo Palazzo, 140, the Bergamo PORCELANOSA showroom is found in a busy area, with great visibility supporting its location. 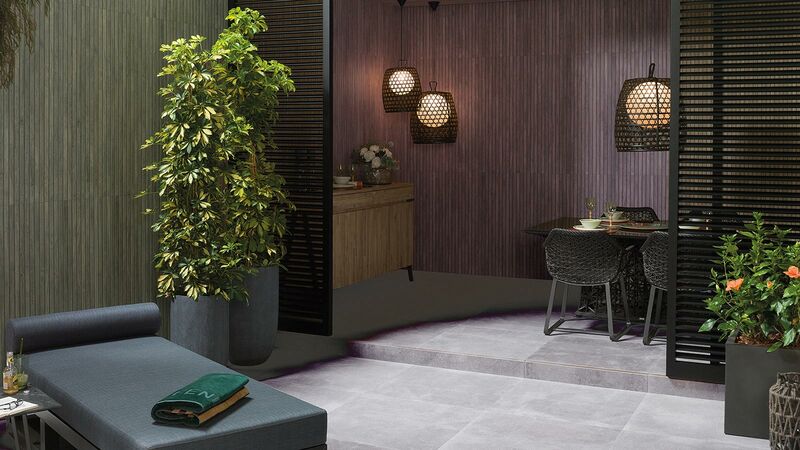 With an area of 350 square metres, the new PORCELANOSA Group facilities are laid out over a lower floor with large window displays around its edges, allowing different exhibition areas to be seen from outside. 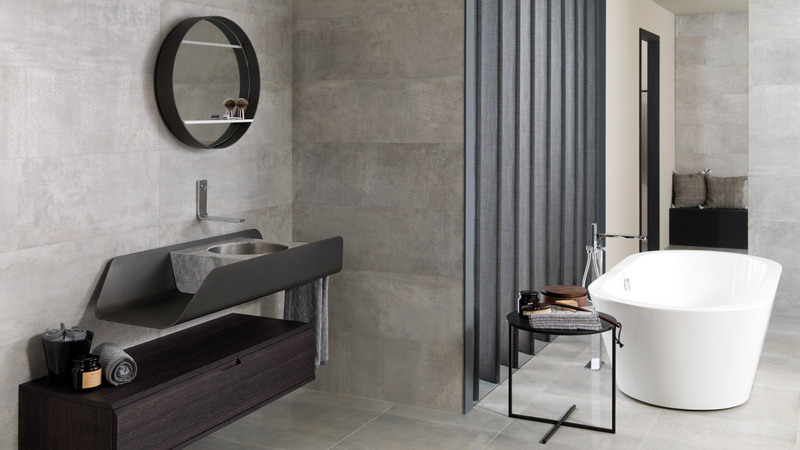 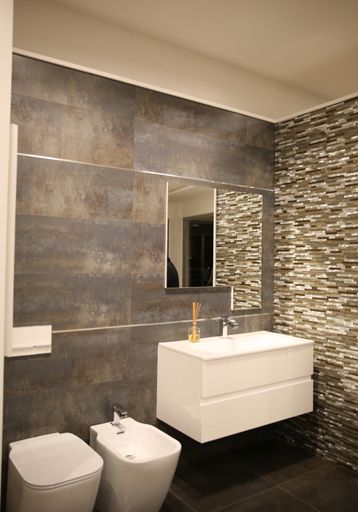 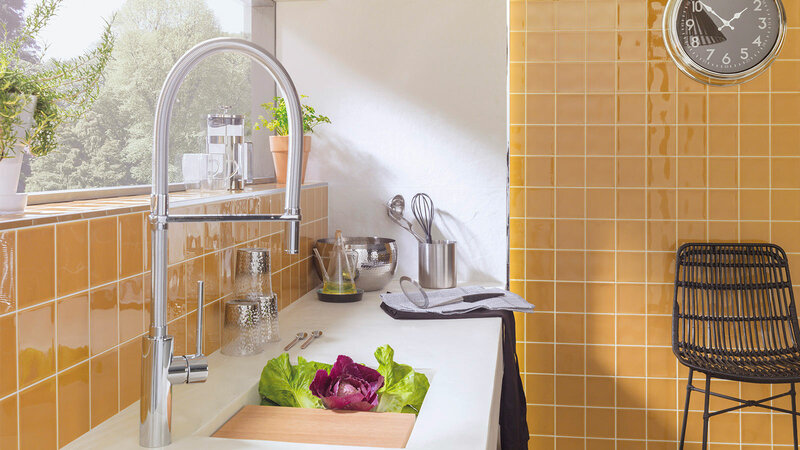 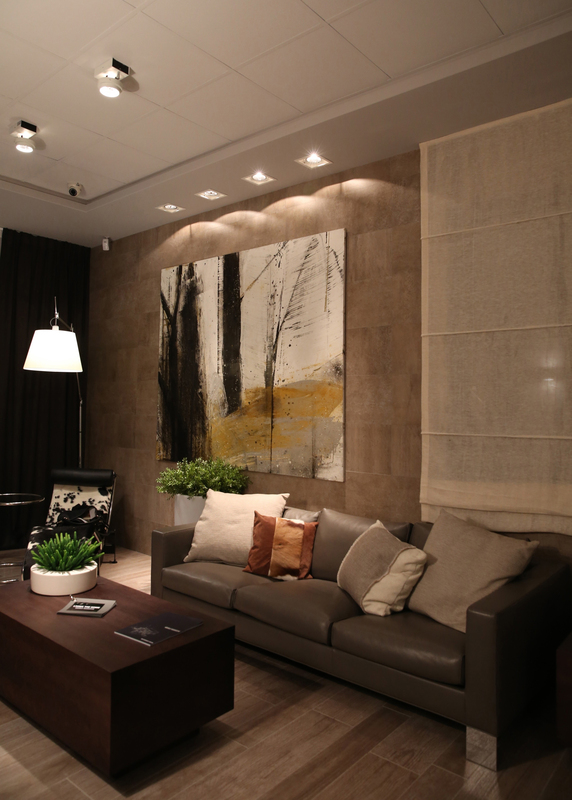 As well as an area dedicated to kitchen displays, located at the entrance of the showroom, and numerous bathroom displays where the latest trends from the Group’s firms can be appreciated, a lifestyle area has been set up, which recreates the different rooms of a 60 square metre apartment, fully equipped and decorated in a contemporary, modern style. 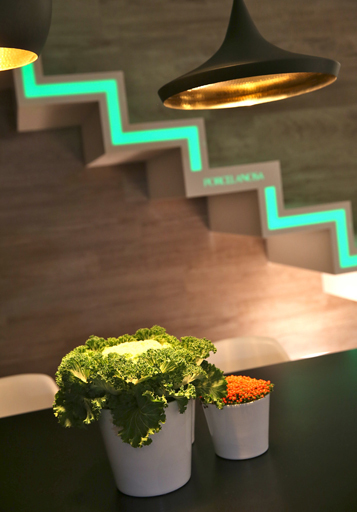 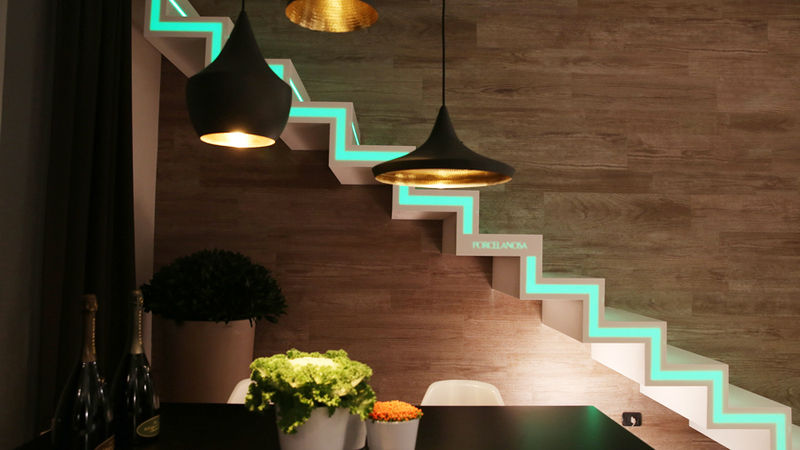 A staircase made from the compact mineral Krion®, whose steps have a backlit profile, is one of the notable elements of the modern apartment space. 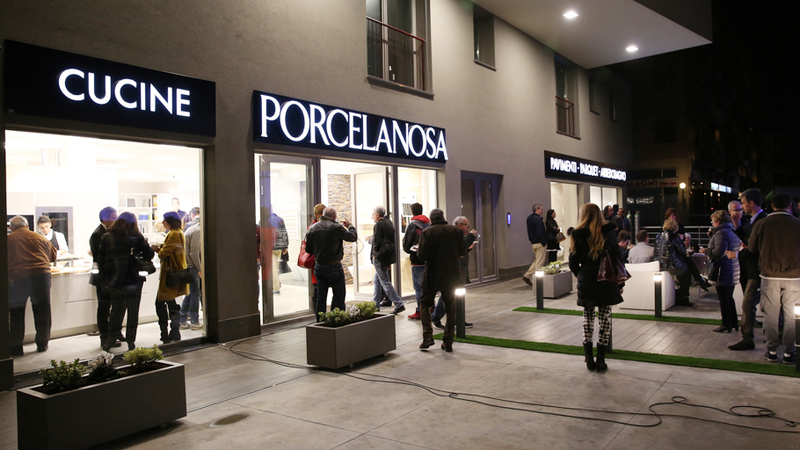 The new Bergamo PORCELANOSA showroom opened its doors on the 13th of November with an exclusive opening cocktail party in which numerous attendees participated, mainly architecture and interior design professionals, as well as other personalities and company representatives.